Damascus Gloves® are quality products made with the highest quality materials and can be easily washed if done properly. While we feel our gloves are extremely durable and an excellent value for your money, they are not indestructible and common sense does apply. Damascus Gloves® are NOT work gloves. If you use them for rough manual labor, stacking lumber, changing tires, expose them to extreme heat, expose them to harsh or caustic substances, leave them to bake on the dash of your car, or allow your cat or dog to use them for chew toys, you will likely find your gloves to be in substantially worse condition than when you bought them. Many people find our gloves will last them several years while others will wear them out in a few months. It all depends on how often you wear them, how you use them, and how well you take care of them. Only you can determine whether or not our products lived up to your expectations. If for any reason you are not completely satisfied, please let us know about it. Regarding Cut Resistant Gloves, while the liners are highly abrasion resistant, remember, the leather shells of styles such as the DFK300, DFS2000, DFM3500, etc. are designed for sensitivity, close fit, and maximum dexterity. Our leathers are not cut resistant in and of themselves. As such, the gloves must be treated in the same manner as our other all-leather gloves. While Cut Resistant Gloves should significantly increase the wearer’s safety against sharp or highly abrasive surfaces, if such contact is encountered, the shells can likely be permanently damaged. We assume this is preferable to serious injury to your hands. Also, Cut glove inserts are knitted products. Another thing that will help extend the life of your Damascus brand handwear: be sure you have a correct fit. Gloves that are either too tight or too loose will wear out more quickly. Gloves should fit snugly but not tightly. If they slip on easily when first bought they will probably be too large when broken in. Conversely, even though a main feature of our gloves is a snug close fit, don’t try to overdo it. If you’re a size Large, wear size Large gloves even if you can force your way into a size Medium – what you will end up with is a very odd looking restrictive pair of gloves that will split apart so on after first putting them on. Leather or Leather Palmed Gloves: Leather is a porous material. Gloves that are left covered or impregnated with grit, dirt, or grime will not only look and feel unpleasant, but will also wear out more quickly. To wash your Damascus Gloves®, remove excess grime, dirt, etc., and gently hand wash in cool to lukewarm water using mild PH-balanced detergent. DO NOT wash any other articles with the gloves as some of the dye will run. This is normal. Many fine glove leather products are available, however, we find a gentle shampoo works very well, is usually readily available, and very cost effective. Rinse thoroughly in cool to lukewarm water. Repeat if necessary. Gently squeeze out excess water. We also recommend thoroughly coating gloves inside and out with quality PH-balanced hair conditioner and let stand one minute (this helps replace any leather topping oils which may have been removed). Again, while there are many fine products on the market, we have found hair conditioner works extremely well, is also readily available and inexpensive, and has a pleasant fragrance. Rinse thoroughly with cool to lukewarm water. Pat dry with towel, flatten out and shape. Lay on a flat surface and air dry. DO NOT MACHINE DRY OR USE DIRECT HEAT OF ANY KIND ON LEATHER GLOVES. DO NOT DRY IN THE DIRECT SUN. DO NOT USE BLEACH. Honeywell® Spectra® and Spectra® blend knit liners can be worn alone but will last longer if used according to design inside a glove shell. If wearing alone, avoid snags. Hand or machine wash, warm water only. Use soap or detergent. Bleach if necessary. Air dry at temperatures less than 120 degrees F. Inserts made with Spectra® and Spectra® blend yarns can be sterilized using chlorine bleach. DuPont® Kevlar® knit liners can also be worn alone. If wearing alone, avoid snags. Hand or machine wash. Use mild soap, NO BLEACH. Sterilize in boiling water at least 20 minutes. Air dry or tumble dry low. Disinfecting: Unlike inserts of Spectra® and Kevlar®, no leather glove can be completely disinfected against infectious pathogens, blood borne or otherwise, according to OSHA guidelines. In the event of such contact, gloves, like your shoes, uniform, belt, and other garments and porous accessories, must be discarded and/or incinerated. However, a disinfectant such as liquid Lysol® brand can be applied for everyday health concerns by adding it to the water during normal washing without damaging the gloves. This is the preferred method. As an alternative, the gloves can also be sprayed with an aerosol type disinfectant, allowed to dry, and repeating the process once or twice. The interior of gloves can also be disinfected by turning them inside out and treating in the same manner. Regardless of the manner used, the gloves should be washed thoroughly as described previously. Synthetic based gloves using materials such as Spandura®, Clarino® synthetic leather, Neoprene etc. as found in our styles MX10, MX30, DNS860, etc. can be cared for much in the same way as our leather styles. Hand washing is preferred, for longevity however machine washing is acceptable. NO BLEACH should be used at anytime. The products are best if air-dried. 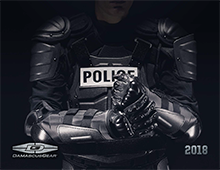 Washing Instructions: When washing your Riot or Tactical gear, first remove excess grime, dirt, etc., hand wash in cool to lukewarm water using mild detergent or anti bacterial soap. Rinse thoroughly in cool or lukewarm water. Repeat if necessary. DO NOT MACHINE WASH OR DRY. DO NOT DRY IN THE DIRECT SUN OR USE DIRECT HEAT OF ANY KIND. DO NOT USE BLEACH. Disinfecting: No Riot Suit or Tactical Gear Item can be completely disinfected against infectious pathogens, blood borne or otherwise, according to OSHA guidelines. In the event of such contact, garments and porous accessories, must be discarded and/or incinerated. However, a disinfectant such as liquid Lysol® brand can be applied for everyday health concerns by adding it to the water during normal washing without damaging the item. This is the preferred method. As an alternative, the item can also be sprayed with an aerosol type disinfectant, allowed to dry, and repeating the process once or twice. The interior of item can also be disinfected by turning them inside out and treating in the same manner. Regardless of the manner used, the item should be washed thoroughly as described previously.